Implementation of digital key access with VingCard Signature door locks and Visionline software ensures property's ability to meet evolving guest expectations. Stockholm - August 17, 2016 - The Victoria Inn Hotel & Convention Centre, a Winnipeg, Canada-based property offering 260 newly renovated guestrooms, has enhanced its security access and self check-in capabilities with the implementation of ASSA ABLOY Hospitality Mobile Access. This advanced new feature allows the property to adapt to the hospitality industry's rocketing demand for faster, mobile device-compatible self-service options. Along with the installation of cutting edge VingCard Signature RFID door locks and Visionline security access software, ASSA ABLOY Hospitality Mobile Access provides guests with unprecedented security and unmatched convenience. With current industry trends demonstrating the vital need to cater to guest expectations for instant satisfaction, ASSA ABLOY Hospitality Mobile Access provides hoteliers with a solution that taps into the growing demand for services that are compatible with today's mobile-oriented lifestyles; allowing guests to use personal smart devices as digital guestroom keys. To cater to these evolving guest needs, Victoria Inn Hotel & Convention Centre leadership chose to implement Mobile Access as an alternate check-in method that allows users to bypass the front desk and begin enjoying their hotel stay experience immediately. "Mobile-compatible services are the future of our industry, providing convenience on a guest's own terms -- and we are proud to be among the properties to have implemented this game-changing, guest satisfaction-enhancing solution," said Mike Roziere, General Manager at the Victoria Inn Hotel & Convention Centre. "With its ability to also offer the most advanced and proven security, the decision to go with ASSA ABLOY Hospitality Mobile Access over competing solutions allows us to offer guests the latest in guestroom access flexibility without sacrificing our ability to provide a safe and secure environment." 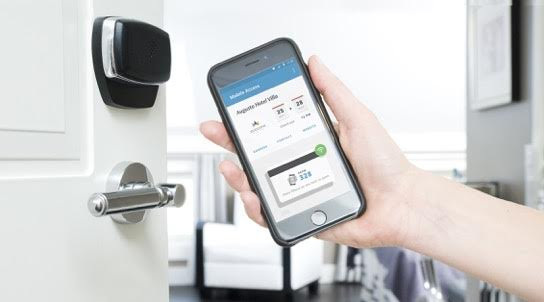 Operating with industry leading Seos technology, ASSA ABLOY Hospitality Mobile Access delivers unmatched security by working with a hotel's property-management system (PMS) to allocate guestrooms and generate digital keys that are encrypted - and securely delivered to guest's smartphones. The smartphone, in turn, places the key in a secure key vault within the hotel's mobile app. When presented to the appropriate lock, the app them transmits the encrypted key via a secure-communication channel via Bluetooth, thus ensuring that only authorized users are able to receive digital key information and gain access. Working alongside ASSA ABLOY Hospitality Mobile Access, VingCard Signature RFID door locks likewise offer state-of-the-art security innovation with powerful anti-cloning features that prevent unauthorized keycard duplication or guestroom access. 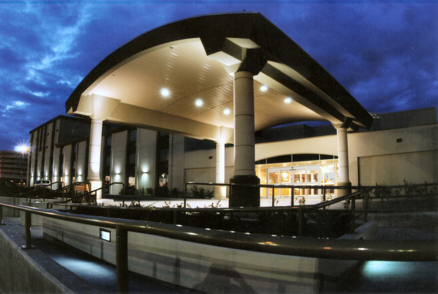 Coupled with Visionline, staff at the Victoria Inn Hotel & Convention Centre can also remotely monitor and control who has access to which areas and when; leveraging the ability to cancel suspect keycards before a breach in security occurs or worsens. The global leader in hotel security technology, ASSA ABLOY Hospitality has products installed in over 42,000 properties worldwide, securing in excess of 7 million hotel rooms and is part of the ASSA ABLOY Group, a publicly listed company. ASSA ABLOY Hospitality's comprehensive range of security and technology solutions comprises VingCard electronic locks, Elsafe in-room safes and Orion energy management systems, as well as advanced mobile access and integrated software solutions. ASSA ABLOY Hospitality has worldwide service and support in more than 166 countries.